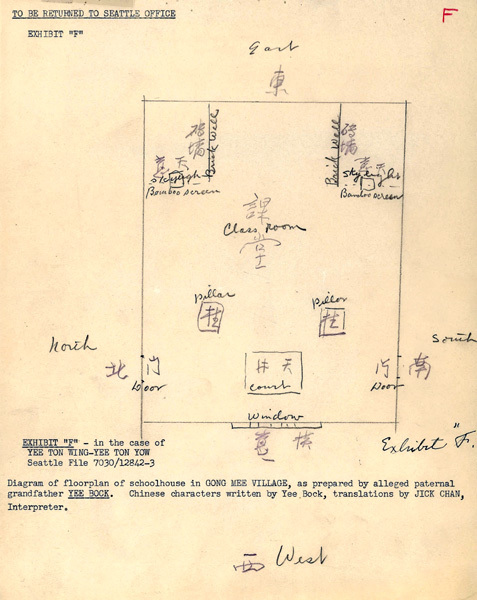 “Affidavit Photos of Ng Toy Sun and Ng Ah Pang” 1941, Chinese Exclusion Act case files, RG 85, National Archives-Seattle, Ng Toy Sun (Sin) case file, Seattle Box 822, file 7030/13428. 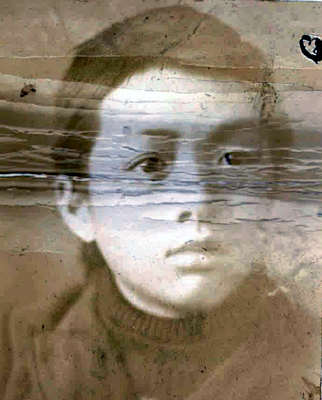 Ng Toy Sun, 伍彩新 age 11, arrived, unaccompanied, at the Port of Seattle on 2 January 1941 and was classified as the son of a citizen. 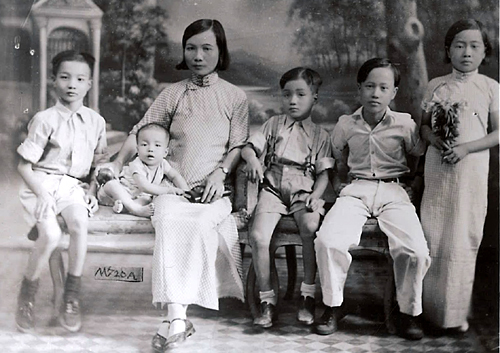 He was born on 10 Feb 1930 in Ai Ong Village, Pang Sa Hon Section, Hoy San District, China. 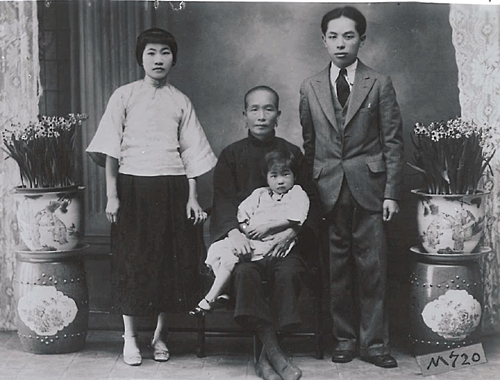 His father, Ng Ah Pang, was born in San Francisco, California on 28 May 1882. 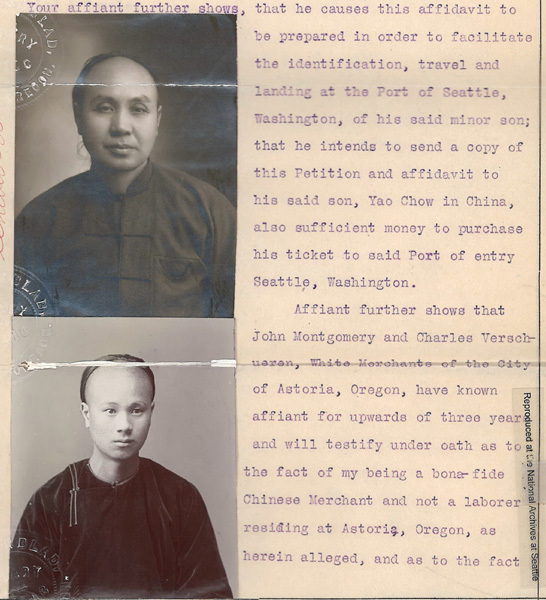 His brother Ng Way Sin (Seattle file 7030/219) applied for admission to the U.S. on 16 July 1930 but was excluded. 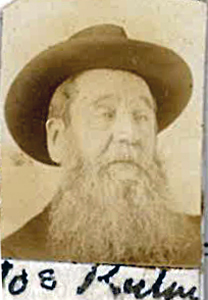 He appealed his case but died at Columbus Hospital [at 10th & Madison in Seattle], just before the Bureau received a telegram approving his admission. 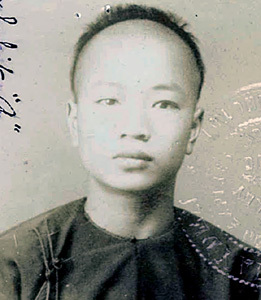 His other brothers, Ng Goon Sin 伍源新 and Ng Jin Sin were admitted in 1935. 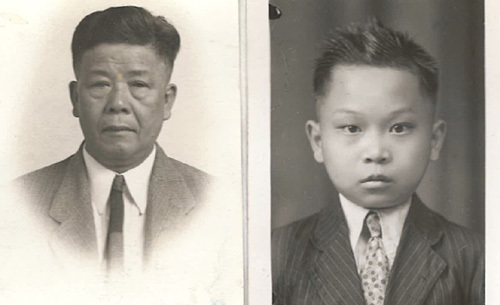 Ng Toy Sun was interviewed in Seattle and his father, Ng Ah Pang, 伍亞彭 and brother, Ng Goon Sin were interviewed in Cincinnati, Ohio. 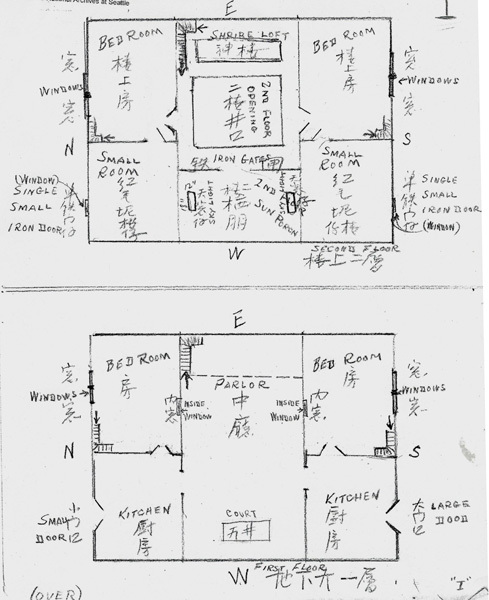 They each made sketches of their village; the maps were compared and were alike. Some of the questions asked during the interviews were: Does your mother have scars or marks on her face? How many persons keep water buffalos? Does anyone keep pigs? Does your village have gates? Who looks after the fish in the fish pond? Where are the toilets located? What is the name of your ancestral hall? What clans live in the nearby village of Gew Toon? 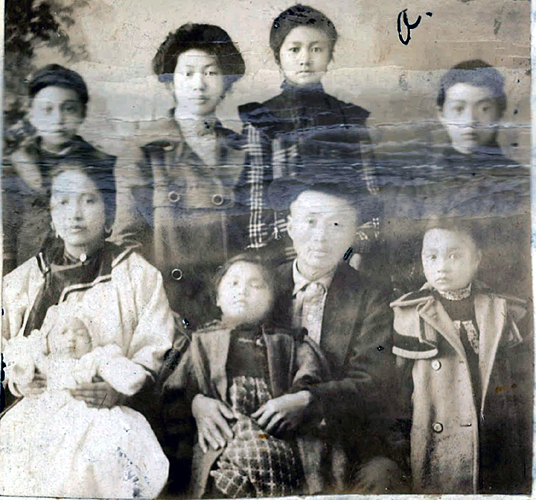 Where does your family obtain water? Does your mother have a vegetable garden? Is there a clock in your house? Describe your village. Is there a hill near your village? Does the house in front of your house touch your house? Describe your house. Only small discrepancies between the interviews were found. One difference was if there was a clock in their home. The interviewers decided the differences were not big enough to be important. 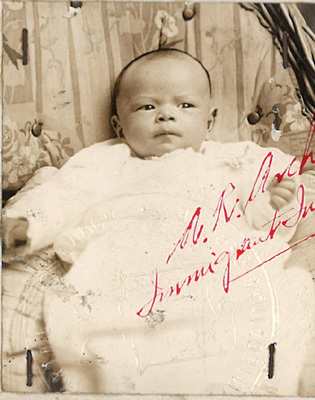 Ng Toy Sun was admitted twenty-eight days after his arrival. 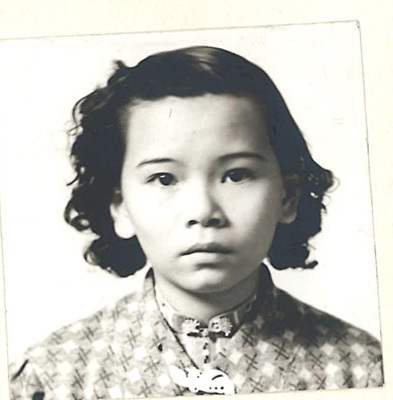 The file does not tell us how the eleven-year old boy traveled to Cincinnati to be with his family. 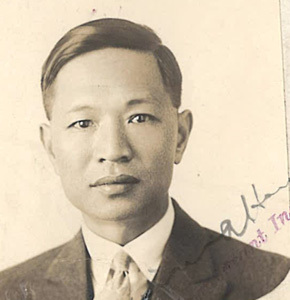 Two weeks after Ng Toy Sun was admitted, E. Alexander, a guard at the Immigration Center in Seattle, found a pair of shoes belonging to Ng Toy Sun in the baggage room on the 3rd floor. 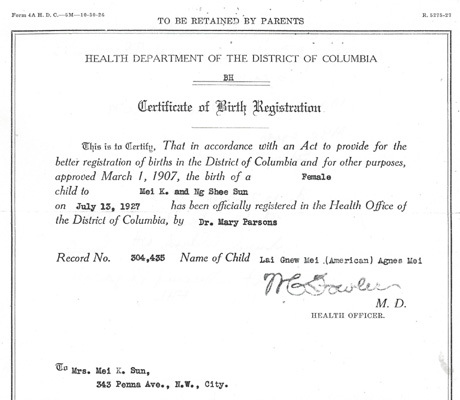 He asked that they be sent to Ng’s father in Cincinnati. Alexander said they were “good shoes” and he wanted the boy to have them.